Opening to a crowd of genuine climbers in true send form, Reel Rock 12 debuted at the Rose Wagner Theater on Nov. 6-7, 2017. Similar to Banff, Reel Rock is an international film festival that travels around the world featuring exclusively climbing films. “The Reel Rock Film Tour started as a way for us, as climbers and filmmakers, to create films about the top stories in the world of climbing,” said Zachary Barr, head producer of Reel Rock. This marks Reel Rock’s 12th consecutive year of touring with short feature films. Beginning in 2006, founders Josh Lowell and Pete Mortimer began organizing small tours for individual and private films and eventually worked to produce Reel Rock. Reel Rock has evolved and grown to visit almost 500 cities around the world, including international venues in Norway, New Zealand, Canada and UK as well as all over the United States. “It’s evolved into the annual event for climbers — all over the world — to learn from one another, work together and even give back to local communities,” Barr said. This year’s Reel Rock featured four short films highlighting four incredibly dynamic and motivated individuals. “Break On Through” features Margo Hayes, a 19-year-old gymnast turned climber who has become the first female to climb 5.15 (the top of the climbing difficulty scale). 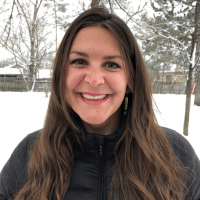 The film focuses specifically on her ascents up “Biographie” in the south of France and “La Rambla” in Spain — both ascents occurring within six months of each other. Hayes is bursting with personality and jaw-dropping dedication, both of which are beautifully expressed in the film. “Above the Sea” features well-known climbing icon, Chris Sharma, and his numerous routes surrounding the cliffs of the gorgeous Mallorca Island off the coast of Spain. Remaining “the world’s greatest practitioner of deep water soloing,” Sharma pushes the absolute limits in his ropeless ascents above the sea. As explained in the film, Sharma often finds inspiration for his next routes and subsequent sequences by simply swimming along the coast of Mallorca and looking up. “Above the Sea” features a unique and highly tantalizing version of climbing that is definitely worth seeing. “Safety Third” will captivate you and elicit sweaty palms as you watch Brad Gobright, an up-and-comping free soloist, ascend some of the highest and sketchiest climbs in Eldorado Springs Canyon. Dubbed as “climbing’s wildest free soloist,” Gobright is less than polished in his unabashed love for donuts, chaos, and has an often scattered mind. His zest and daring approach to climbing is hard to ignore. The final film, “Stumped,” features Maureen Beck, a dry-humored and quick-witted climber sending up rocky 5.12 crags — with one arm. Born without her lower left arm, Beck takes a jab at the dominant discourse rhetoric surrounding disabled athletes and adaptive sports. “People say, ‘Look, a one-armed climber, now I have no excuses.’ I’m like, dude, you never had any excuses in the first place,” Beck said in her short feature film. “Stumped” is packed with quips and provides a hilarious perspective to a determined and impressive climber and her tribe. Reel Rock films “show once again what an eclectic sport rock climbing is, and how it appeals to people from all walks of life…these screenings bring members of this community together, in one space, for one night, and the resulting energy is off the charts,” Barr said. 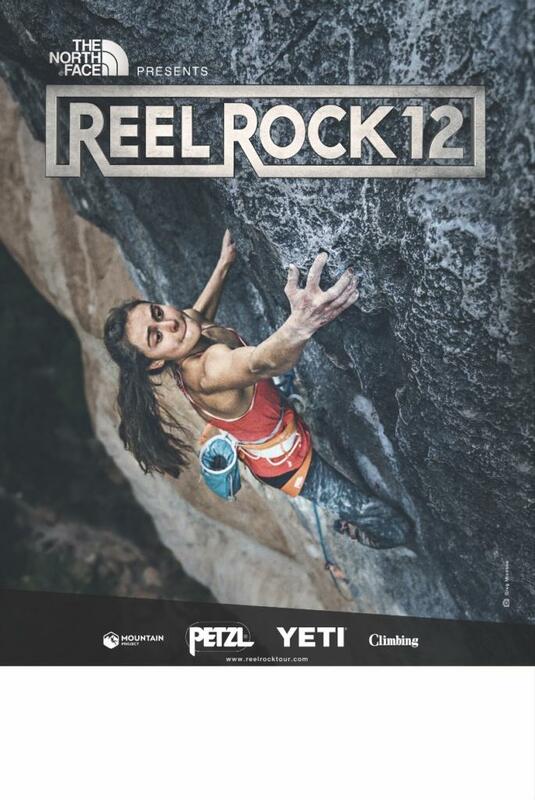 Reel Rock will provoke passion, awe and sheer enjoyment as you learn from hard-core, yet highly relatable athletes. Whether you are immersed in the climbing world or simply on the fringes of curiosity, Reel Rock is definitely worth putting on your calendar. They’ll be back in Salt Lake City on Dec. 3 and end in Park City on Dec. 7. The films and tour are produced by Sender and Big UP Productions, and are sponsored in part by The North Face, Petzl and Yeti; in addition to numerous local sponsorships. All raffle profits from the Salt Lake Venue went to the Salt Lake Climber’s Alliance.